The plight of the USA’s freshwater turtles has taken a back stage to what has been labeled the Asian Turtle Crisis (a tragic situation, please see below). However, a full-blown crisis is in progress here as well. In the past 5 years, over 12 million wild caught freshwater turtles were sent from the USA to food and pet markets abroad, while untold numbers were sold in-country. Fortunately, you can make a real difference in their future by taking one simple step. Please read on to learn how to take action to support CITES (Committee on International Trade in Endangered Species) protection for the USA’s freshwater turtles. It comes as a surprise to many people that the USA is home to more species of freshwater turtles than any other country. Unfortunately, several of the states that support the greatest diversity and largest turtle populations offer little or no protection, despite strong evidence that many species are in sharp decline. Food markets in China and Southeast Asia are the main importers of US turtles, but rarer varieties wind up in the pet trade the world over. And, despite decades of pressure from conservation groups, the process of adding a turtle to the Endangered Species List remains a conservation travesty. The Cagle’s Map Turtle, for example, was listed as a candidate for protection in 1977, yet no action has been taken in the 34 years since! 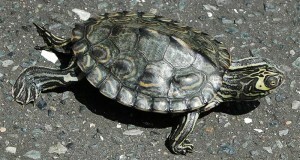 In common with many turtles in the genus Graptemys, Cagle’s Map Turtle is restricted to a single river system (the Guadalupe, in Texas). Recent genetic studies have uncovered a new species, the Pearl Map Turtle (please see below), and strengthen the belief that many populations have evolved in isolation and now survive only in tiny habitat fragments…yet map turtles remain largely unprotected. Until August 16, 2011, the US Fish and Wildlife Service is soliciting input as to which species should be proposed for CITES protection. Please click here to participate. The short form you’ll find takes but a few seconds to complete, and could very well help prevent one or more extinctions. If you are reading this after August 16, please check the links below to stay informed on future efforts. Some years ago I spearheaded a project that documented high levels of mercury in Florida Soft-shelled Turtles and other species sold in NYC food markets. Researchers have also found PCBs and other dangerous chemicals, but decisive action on a state or federal level has yet to be taken. The Center for Biological Diversity recently logged a historic victory when the US F&WS agreed to make decisions on the conservation needs of 757 animal and plant species; included among these are a great many long-ignored reptiles and amphibians. Please see this article for more info and a complete species list. Hello Gary, Frank Indiviglio here. Thanks for your interest. It’s an odd situation here in the USA; some conservation issues are constantly in the public eye, other serious ones such as this are barely recognized. I am panning to breed my spotted turtles recently. I don’t konw that if my turtles have baybies, can I send them to u and help me release them to the wild? Yesterday I saw a poor little spotted guy was sold at the pet store, so I spend lots of monney buying it for breeding. Although it takes so long for them to be mature and I don’t have breeding experience, but I am going to try it. Even though I am not in America. However, I don’t want this kind of incredible animal to become extinct. Glad to hear of your concern; spotted turtles are a good species to work with. A big part of the problem here is lack of suitable habitat (they are very specific in their needs, more so than many turtles) and over-collection…they are valuable here as well, and so people are collected illegally. Captive breeding, here or elsewhere, would take pressure off wild populations. Releases are a tricky topic. 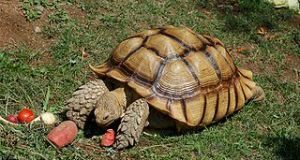 Former pet desert tortoises that were released in the US nearly wiped out wild populations by introducing a unique type of bacteria; the pets had built up a resistance, but wild ones had not. Zoos sometimes reintroduce species, but it is a long and expensive process…but let me know when the time comes, and we can look into it. Any captive breeding will help, even if the animals are not released. hanks for the reply. I’ll try to produce them. I have a question about my spotties. Should I feed them vegetable or just turtle sticks? I’m glad that the information was useful. Spotted turtles are largely carnivorous, and rarely take greens or vegetables. A good aquatic turtle dry food (I’ve had great results with Reptomin) can make up the bulk of the diet, but should not be the only item offered. Also provide whole minnows or other fishes, earthworms, crickets and other insects, shrimp, dried prawn and similar foods. 12 Million exports? Are they any better off overseas? Pet shops in the US have an embarrassing amount of turtles that are not often housed well and when sold are probably cared for even less. Parents buy them as “toys without batteries” for their kids. Hello Mark, Frank Indiviglio here. Thanks for your interest in our blog. It’s a tough situation…I’ve seen wonderful and horrific stores both here and abroad, same as to private keepers and even zoos. However, many of the adult wild-caught turtles in the US are going into the food trade; confiscations in Asia have shown that collectors are sending turtles to China from as far away as Myanmar, due to depressed populations in the east. Chinese Softshells are farmed, but there is a market for other species. Animals sent into the pet trade in Asia do tend to be expensive, and conceivably might receive decent care; but questions I receive from Taiwan and other places indicate that basic care info is lacking in many places. Here in the US, red-eared slider hatchlings seem to be the most common “impulse sale” turtles. It is illegal in all states to sell turtles less than 4” in length, but that is widely ignored; hatchlings are on sale at sidewalk stands in lower Manhattan on most days. These turtles are farmed, mainly for sale to the pet and food trade in Asia. You might be interested in this article on the Asian Turtle Crisis.